Tomorrow is Brisbane's Ekka public holiday and for most of us that means a day off work. If you aren't interested in going to the Ekka this year here are my suggestions for how to spend the Ekka public holiday. Riverlife is located at the base of the Kangaroo Point Cliffs and offers a selection of adventurous activities to do within Brisbane city as well as hosting a variety of fun events throughout the year. Tomorrow Riverlife are inviting you to join them for cool beats, hot chocolate rums and tasty winter warmer food as they party by the river for the perfect Adults Ekka Day out. Featuring live tunes from DJ Cliftonia, DJ Harry K and Sharif D on the saxophone. This year Riverlife are very excited to be teaming up with Australian Marriage Equality with $2 from every ticket sold going towards the fight for equality. Use the code word 'LADYBRISBANE' to receive 50% off your ticket price. You can read details about Winterfest at Riverlife here. DFO Brisbane is located in the Skygate precinct near Brisbane Airport, click here for a map, and is open this Ekka public holiday from 10.00am to 6.00pm. Need a new outfite for the weekend or perhaps it's time to start your Christmas shopping. Further DFO Brisbane information can be found here. There are only a few weeks left to experience the largest Marvel exhibition ever on display now at GOMA till September 3, 2017. Follow Thor, Iron Man, Captain America, Hulk, Black Widow, Hawkeye and their allies and adversaries from the pages of Marvel Comics to the big-screen. Drawing on Marvel's extensive archive of original comic books, concept art, props and costumes, as well as private collections, the exhibition features over 500 unique objects including Thor's hammer, Iron Man's suit of armour, Captain America's shield, and never-before-seen set pieces from the highly anticipated Thor: Ragnarok 2017, including the majestic Asgardian throne room. Read further details about the Marvel exhibition at GOMA here and purchase your tickets to the exhibition here. The weather is warming up and with the sun waking up around 6.19 am these days, you still have time for a sleep in and can then take the opportunity to jump out of bed, get changed, lace up your sandshoes and head out for a walk. 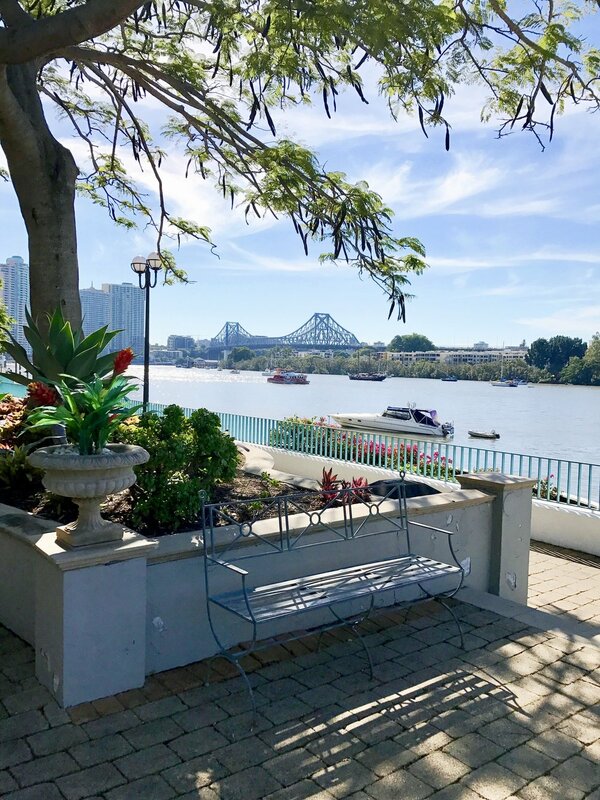 If you are looking for a different route to take this public holiday other than your normal suburban streets, jump in the car and head into South Bank, Kangaroo Point Cliffs, New Farm Park or Milton and enjoy a scenic walk from any of these starting points along the inner city Riverwalk. See here for three inner city walking routes. Let me know what you end up doing this Ekka public holiday. Guess what I'm doing? Going to the Ekka, my kids are super excited.